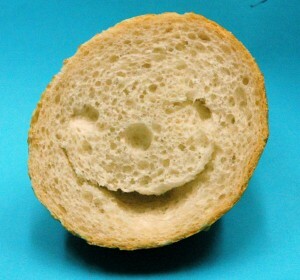 In September 2005, I sliced off the heel of a sourdough loaf, and this guy was smiling back at me. I still have it in a baggie in a kitchen cupboard. Hard as a rock now.